Do you work for WooCommerce? Learning about WooCommerce? We can help. "Build that store in a matter of a few days"
"The best option to create virtual stores with Wordpress." We can download it for free directly from the wordpress repository through its official website https://wordpress.org/plugins/woocommerce/ and then install it in simple steps. Once installed we can configure all Woocommerce settings that allow us to have full control of our virtual store, compared to other similar systems Woocommerce is more complete and has all the necessary options. We can create any type of virtual store and have a large community of users who are constantly developing improvements and solving possible bugs, in addition there is extensive documentation that can be found on the web completely free of charge. It is a plugin a bit complex especially for beginners who do not have much experience in Wordpress because its configuration is complicated. It is a free and ideal plugin to create e-commerce websites with Wordpress, it is flexible and very powerful and it has the support of many users worldwide, so there is a lot of help information. I have been using this plugin for some time and I think it's great, it has allowed me to reduce the development times of e-commerce websites and it is my first option when creating virtual stores. "Easy to use, support is very responsive"
I like how customizable the software is, we implemented this after using Configio to handle our registrations for classes. It solved a lot of double entry issues we had since it did not connect to our WordPress site, once we integrated WooCommerce into our WP website, everything lives under one place! I wish it were easier to connect bookings to google calendar without having to but an extra add on that we wouldn't use. Make sure you layout a plan before implementing WooCommerce so you don't get overwhelmed. Once you have that down they will solve your problems, it is highly customizable, specially if you're using it with WordPress. We had all of our registrations/calendar for classes living in different places, making our workflow very inefficient and error prone. Once we implemented WooCommerce into our WP website we were able to cut down on double entries and have everything not only living under the same roof but also feeding automatically into the necessary pages. "Great if you like doing a lot of work yourself"
I love that it's free but has TONS of functionality. A lot of people are now on Shopify when it comes to selling online, and they do a lot but they do it all for you and charge tons. But with WooCommerce, you have to put everything together yourself and pick and choose what functionality you want, but it's free. And there are some paid plugins that add tons more functionality, but only if you want it and it's often a one-time payment. It's not incredibly difficult to learn how it works and how to use it with ease, but it's not for everyone. In any case, if you aren't in a position to afford Shopify's fees, or if you are but have some experience with designing websites, this is a great alternative. Not every function is available in one place. If you want a piece of basic online shop design, you have to know exactly what you're looking for to find a compatible plugin. It's not all in one package. And it doesn't look as clean or have as much customizability (design-wise) as services like Shopify. Make sure you already have a really good understanding of Wordpress and plugins. Keeping costs low while still having almost all the basic functionality as an online shop. "Easy to use for smaller webshops with WordPress"
I like that it is easy to use. It is not necessary to have a huge technical knowledge to implement WooCommerce with WordPress. It is very straight-forward and several payment options (including the major ones) can be set up to use for customers through WooCommerce. At UCplus we do not have a massive webshop, but we need to be able to sell a few services and track the transactions, which makes WooCommerce perfect for us. Furthermore it is free and there are many possibilities with add-ons etc. Unfortunately Plug-ins like WooCommerce have the ability to slow down websites and so has the situation been with our website at UCplus. WooCommerce have slowed down our website a little bit unfortunately. If we would have a bigger webshop, we would prefer to have a different solution, which is more customized to our needs. It is not super easy to change the layout so that it fits with the WordPress theme of the website. I definetely recommend using WooCommerce for smaller webshops. If you plan on using it for a bigger webshop, you defintely have to think twice and search the market for other solutions, which can handle more content without making the website to slow. Charging payments for our services and tracking transactions. We can now offer our students to pay for everything online. Instead of the previouos model, where the student would have to come to us and pay. It is great solution for a business like UCplus with few products and with a lower amount of transactions. "Woocommerce: Low Upfront Cost, but Requires Ongoing Upkeep"
The core platform is free, necessary add-ons are relatively cheap for an annual license, and it's one of the lowest-cost options for starting up an ecommerce site. The customization options are extensive. You can do pretty much anything if you've got the technical skills or money to do so. There are many payment gateways, the front-end and admin user interfaces are fairly easy to use. The initial configuration required for custom sites and checkout flows is quite extensive, and not easily undertaken by a non-technical person. Unlike SaaS platforms, it requires monthly or semi-monthly upkeep, updates, and template maintenance to keep things working smoothly. It requires more initial setup and ongoing maintenance than other platforms, but has a lower upfront investment and no monthly cost, so like anything, there's a tradeoff. WooCommerce eliminates the need for a brick-and-mortar store for our business. It lets us take payment directly, and deliver directly to our customers, saving us thousands of dollars and improving our standing amongst the competition. "WooCommerce the best solution for beginners!" With WooCommerce, the whole idea of selling and a shopping cart becomes so much more easier. The best part of WooCommerce is that it is actually FREE! Imagine that, this is the best plugin for people that wants to start up an online business/website with a very little capital. It also supports most of the websites today, since it is a plugin that is actually made by wordpress.org! If you actually have used wordpress before or are familiar with wordpress, WooCommerce is just like a walk in the park. It also offers a lot flexibility, you can sell digital/downloadable products or physical items. It has also in built analytics where you can know how much you sell in a period, for an example.. how much you sell in a day, month or even a year. Also, when i say it is for free, that doesn't mean that it does not look professional. You can track orders, it has customer engagement tools and receive updates about delivery statuses. If you are using a complicated software/plugin now, switch to WooCommerce to ease your day and life. It's just that customization of the themes can be costly, you might get bored of the same free WooCommerce theme. Also if you're new to wordpress, WooCommerce can be difficult for you. The business or individual needs to have a great understanding of both WordPress and WooCommerce in order to get the most out of the products. It isn’t a complete solution for eCommerce needs as it is a plugin specifically for WordPress. Easy to use, it is free, beginner friendly, works well with wordpress. The updates are too way frequent with Woocommerce, the themes and the plugins. It seems that the programmers are very passionate, but need to realize that shop owners can not spend copious amounts of time constantly upgrading everything. For example, a very major update was done to Wordpress and subsequently Woocommerce in December. I had to turn all updates off, not only do shop owners not have time in the busiest shopping season of the year, but it would be detrimental if anything went wrong with the updates. The constant updates really need to be reduced and definitely not anything in November / December - the time to do major updates is in January - when shops are slower. Would really recommend Woocommerce as a shopping cart solution. I had an oscommerce store for 13 years and I wish I had switched to Woocommerce sooner. Online Retail Shopping. Very robust, wordpress/woocommerce community very helpful. "Great Service, Easy to Install and Configure"
Nothing to date. I have enjoyed the online tutorials and those have gotten me through any issues I've faced. Great to be on a platform that is a standard for WordPress admins. Offering eLearning courses on our real estate education website. This is a new venture for us and so we haven't started marketing yet. But we have benefitted by having an easy to install and configure tool. I was also pleased that our bank's merchant services groups is able to integrate with WooCommerce allowing us to get cheaper transaction rates that with PayPal or Square. WooCommerce es un plugin totalmente gratuito que permite convertir tu web Wordpress en una tienda online operativa al instante. Es fácilmente configurable y permite personalizar muchos de los aspectos de nuestro ecommerce así como gestionar el proceso de venta desde la propia plataforma. Podemos enlazar el plugin con muchos de los software de facturación y contabilidad más utilizados hoy en día lo que supone una ventaja competitiva que facilita mucho la correcta gestión del negocio. El hecho de ser gratuito es, a priori, un aspecto negativo pero, por contra, podemos considerarlo también un aspecto negativo. ¿Por qué? Porque al ser un plugin totalmente gratuito es más vulnerable a ataques de extraños. Siendo el plugin para la creación de ecommerces por excelencia en la actualidad deberían mejorar muchos aspectos en seguridad para la tranquilidad de los millones de usuarios que lo utilizan hoy en día en sus comercios. Principalmente el poder establecer un negocio en línea de forma totalmente gratuita y cómoda, rápida y eficaz. El beneficio más importante es la capacidad de conversión de nuestros ecommerces gracias a la instalación del plugin en conjunto con el gran abanico de extensiones que podemos descargar. Gracias a ello tendremos multitud de opciones para personalizar nuestra tienda, el proceso de pago, los tipos de productos, el envío, la facturación y hasta el reenvío de emails de confirmación para los pedidos. "Cumple con todas mis necesidades"
La plataforma es en su mayoría intuitiva. Parece que hay un flujo de trabajo directo y aparente, sin muchas campanas y silbatos. Uso WooCommerce de una manera muy limitada, así que es genial para esa función. Ahora usamos una forma diferente para hacer sonar las órdenes. Entonces en el back-end, no está integrado. No soy el que toma las decisiones por los gastos de integración y no sé el alcance de lo que tendría que cambiar con nuestro negocio para hacerlo, pero esa es la mayor pérdida de tiempo. Es mi trabajo, es cómo recibo horas, pero no es eficiente en absoluto. 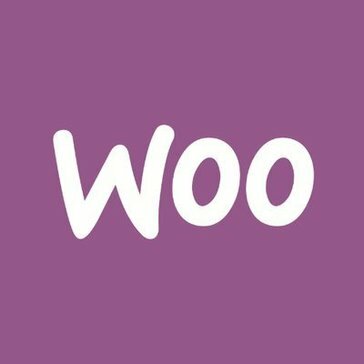 Si todas sus compras y envíos están integrados con WooCommerce, genial. De lo contrario, y planea usarlo lo más barato posible y conectarlo en otros sistemas manualmente, con su personal, funcionará, pero puede haber algunos puntos débiles. Estamos garantizando un rápido servicio al cliente a los clientes. El principal beneficio es que las órdenes telefónicas, que pueden tomar hasta 40 minutos de tiempo del personal, ya no son necesarias. Esto libera a los asociados de ventas para que estén con los clientes en la tienda en lugar de llamar a la gente para que reciba pedidos. Que la plataforma básica es gratis. Fue bastante fácil de instalar, especialmente porque este no es mi fuerte. Ofrecen un tema gratuito que puede personalizar marginalmente para su escaparate. Estoy usando el tema y los productos de WC pero mi sitio web no funciona correctamente. Sigo recibiendo rebotes entre WooCommerce y GoDaddy y realmente no resuelvo mi problema. WooCommerce exige ciertos estándares para el estado de su sistema y GoDaddy dice que no pueden cumplir con esos estándares. Después de pasar varios días rebotando sin respuestas reales de ninguna de las partes, simplemente me di por vencido. Si no puedo resolver el problema de la configuración por mi cuenta, busco otro proveedor de comercio electrónico. Si bien esto es básicamente gratuito, debe tener en cuenta que el plugin WC Facebook (del sitio WC) no funciona. Además, los complementos de envío son caros y solo son válidos por un año. Cualquier ahorro que pueda obtener al usar los complementos de WC se compensa automáticamente con el precio del complemento. Tener un sitio de comercio electrónico. Puedo tomar tarjetas de crédito y enviar desde mi sitio sin un gran gasto. "WooCommerce gives you everything to adjust your products in the best way"
Presenting product in a handy way for a user, website looks professionally. "La mejor solucion e-commerce de codigo abierto"
Su escalabilidad y el tamaño de la comunidad que se ha formado, Con la integración de otros plugins es posible solucionar todos los recursos que faltan a woocommerce fácilmente... Multi-idiomas? Hay un plugin para eso, Mejorar el SEO, hay un plugin para eso, vender un producto formado de muchos otros productos agrupados? Hay un plugin... y así para casi cualquier limitación que encuentres... la mayoría de los plugins son gratuitos y los de pago suelen ser bastante asequibles, además por ser código abierto cualquier desarrollador puede modificar caso no encuentres un plugin que ya haga lo que necesitas. Igual que con Wordpress (donde Woocommerce funciona) necesitas un BUEN servidor con OPCache habilitado, una versión reciente del PHP y además plugins de cache y optimización y un CDN... Es MUY FÁCIL crear una tienda, no tan fácil que la tienda sea rápida, principalmente cuando añadas miles de productos a tu base de datos. Asegúrese de que tu servidor sea rapido y tenga opcache habilitado así como una versión reciente del PHP. Principalmente ofrecer toda la información de nuestros productos de forma fácil y intuitiva, lo usaremos como un catálogo online en la fase 1 de nuestra nueva web (aún en beta) añadiendo ventas en una segunda fase de region en region (empezando por España). "Finally a user friendly interface"
Woo Commerce allows for many individuals to work on a website. Before it was difficult as you needed a more advanced level of web development leaving website updating to one or two people. Now when changes need to be made anyone can update the site. This has made for a more team environment. Working together to create a site has been great. I wish there were more options for adding unique coupons. We only have a few options where I would like to offer customers a buy one get one 50% option. I would also like to pick and choose which products can have special coupons. This is the only negative I have found. However I am sure I could locate an additional plug in to help with this feature. Don't hesitate to try. Woo Commerce is great for business, especially e-commerce. We are now able to work as a team to create a user friendly experience for our customers. The design options are great, fantastic custom options and overall an easy platform. Now many employees can make website changes rather than just one person. Changes get made much quicker rather than when we worked with code . With code only a true web developer could work on the site. This caused many delays in getting the site functioning properly. Now when a customer calls and needs immediate assistance we are able to help them more efficiently than before. Wordpress is the best content management system that allows installing WooCommerce and get transactions with it. I can easily edit any part of our site, from the main page to the purchase button. An important point is that it is so easy to use and that anyone can use it and integrate on their site to manage orders. I like that it is very easy to configure. It comes with several free themes that look beautiful, and they do not take care of anything to use the basic necessary functions. The client account and the purchase of e-mail templates are little complicated. I do not like that WooCommerce still not suitable for mobile devices, because today's generation does everything on mobile devices. It's great for stores that are at a budget level. But you can still use it for more advanced stores. I can make my site easy to manage the product, and I can make an online store with a customer request. My customers are happy! You will have the opportunity to create your online store in minutes. Your customers can buy your products with comfort. With this WP plugin you can make your store unique. "The best tool for an ecommerce if you want a fully customized one"
WooCommerce is a powerful tool that can be integrated into your Wordpress site. It has a lot of inbuilt features, but you can add a lot more customization options via plugins. Great integration with some of the best payment gateways, like PayPal or Stripe. Also with some powerful e-commerce tools such as MailChimp. The stock management is also great. There aren't so many things that I dislike about WooCommerce. I use it in so many projects and it has always been a good tool. The worst thing, in my opinion, is the automated email templates customization. They could implement an editor to easily customize the emails that the systems deliver automatically to the customers. Maybe I would also say that sometimes it causes some problems with multilingual sites developed with WPML plugin. The issues are usually for translation synchronization. And with some plugin or Wordpress core updates could appear some bugs, but they usually solve it when they release a new update. For me, the best option if you want to build an e-commerce with a total freedom of creation, design and platforms that you want to integrate. Other platforms like Shopify or Bigcommerce are cool too, but you have to follow their rules. With WooCommerce you are free to do whatever you want, but you'll have to have a little knowledge or experience with Wordpress sites. E-commerce creation in my clients Wordpress sites. Great stock and orders management. "The easier, open-source way to do online commerce"
Its resources-hungry... once you start putting some hundreds (thousands in our case) of products, a cheap server will not be able to keep up with its requirements, so make sure you have a good server for it. We hadnt an e-commerce before, so its a new thing to our company. "WooCommerce is an Excellent WordPress eCommerce Platform!" It's so easy to use! 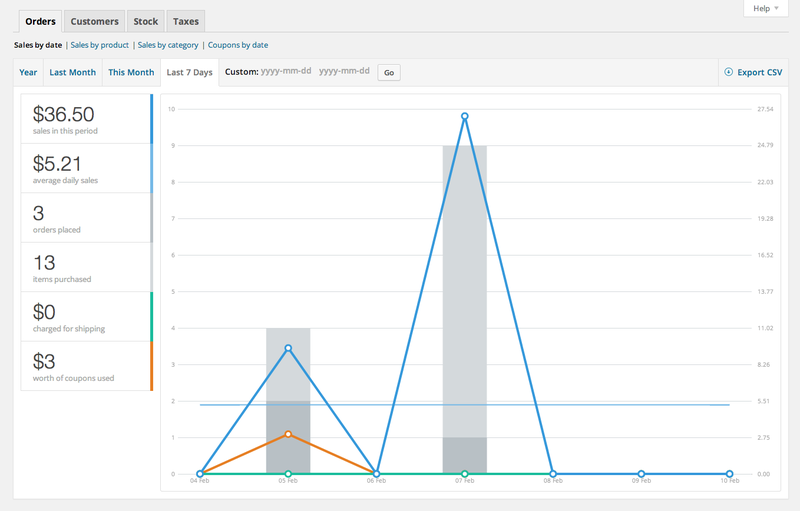 We just migrated from an old installation of OSCommerce, and the difference is like night and day. The integration with WordPress is seamless and it's handled all our needs with the help of a few readily available plug-ins. I love being able to generate variations of products at the click of a button, linking related products, selling in multiple currencies, and so much more! Make all your product photos the same size (height and width) so they line up nicely in the shopping area. 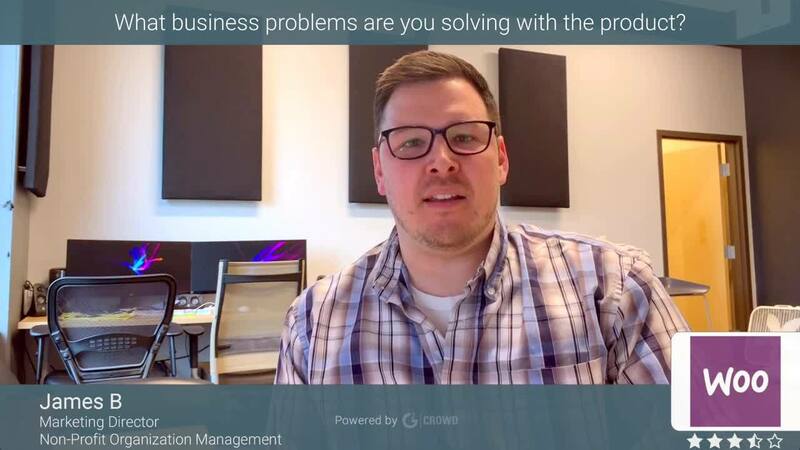 You can change the level of zoom by changing the resolution - the higher the resolution, the higher the level of zoom when the product is published. WooCommerce allows us to showcase and sell our products on our WordPress website. We sell in multiple countries with corresponding currencies and prices and WooCommerce easily handles the complexity. "the best software I have used for my online shopping business"
"the software you need for your online shopping business"
Woocommerce is very easy to set up. I don't have coding background when I first started my online shop business. With WooCommerce, I was able to set it up without any pain in my brain. Setting it up is just a matter of clicking next next thingy! What I like the best about this is that it is compatible with most wordpress theme and plugins. The ability of pricing items, providing discounts, creating coupons and charging shipping fee is very easy with WooCommerce. Dashboard wise, it tells me all the time my gross sales each day and 30 day period as well. Stock management as well is a nice feature here. I can track all my inventory without any problem. "Excellent option for a startup"
I can write a lot of positive about this service. Most importantly, it is free and easy to install and use. The administrator's dashboard is simple and convenient. A customizable section of reports, you will see only the data that you need, without unnecessary information. A large community of WooCommerce users. It the internet you can easily find a lot of useful information about this service, as well as many forums, blogs, and video tutorials. In general, a really customizable service. The service has excellent support and it works all the time. Also, there are many paid themes available, you can change the design as you like. WooCommerce is an excellent option for a startup or a young team. If you are a small business owner, you should give WooCommerce a chance. The main purpose of working in WooCommerce is basic needs in e-commerce, namely the listing of orders, deliveries and receipt of payments. "Features Rich and Free open source online webstore"
Are you looking for to build webstore within some minutes without any technical knowledge? then woocommerce is the best solution for you! I am WordPress developer and I also develope online webstore inside WordPress using woocommerce plugin. woocommerce is the great plugin to make the online store with great features such as product management, product categories, and product selling statics. One of the greatest benefits of WooCommerce is that it is free. This toolkit will make selling products online very easy, and it will not cost you a thing. All you have to do is download this plugin, and you will have it in just a few minutes. Using woocommerce The platform includes detailed order tracking and customer engagement tools, which allow your customers to look at their past orders and get updates on their delivery statuses. It also comes with different shipping options and tax settings. so if you are selling products with tax and VAT then woocommerce can also manage that. woocommerce is also stands for security it uses secure method for product management and payment, also woocommerce regular gives the updates so woocommerce also take care that the store owner always stays up to date! One of the best benefits of WooCommerce is its provide to do all the customizations options. This means that your online store does not have to look like everyone else’s. Right now, WooCommerce has more than 40+ themes to choose from, so you can definitely find one that you like. Once you have picked the theme you want, you can start experimenting with the colors and styles. 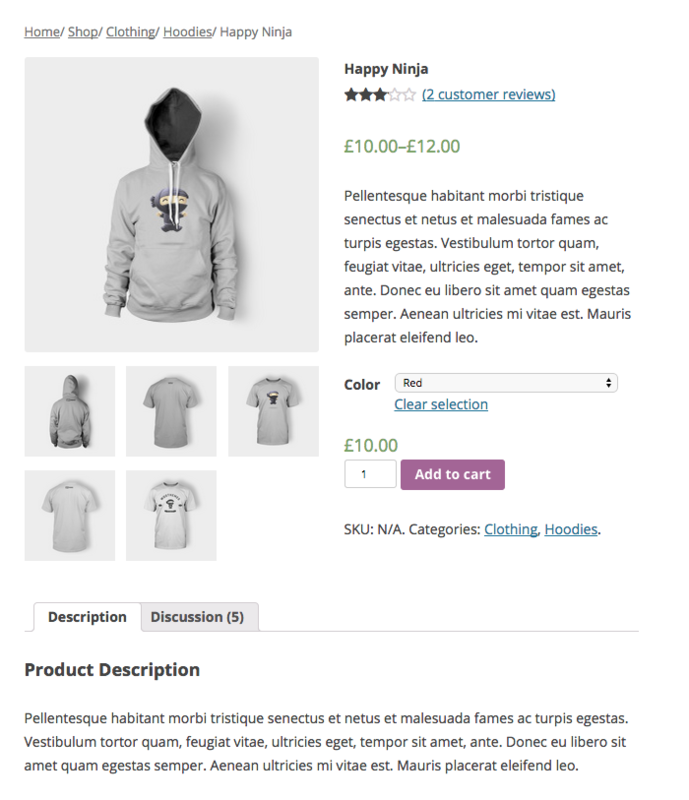 If you get tired of a certain WooCommerce theme, you can always change it. so in my opinion woocommerce is the best platform to start your online webstore! I only don't like one thing in woocommerce and that is woocommerce is still not good for mobile devices. as today's generation make all things on mobile so woocommerce should also need to make management better on mobile devices too so store owner does not have any worry and they can manage store whenever they go! despite this WooCommerce is still a better choice for those who want to secure profits and have no worry about cost. The platform is also easy to use and manage. 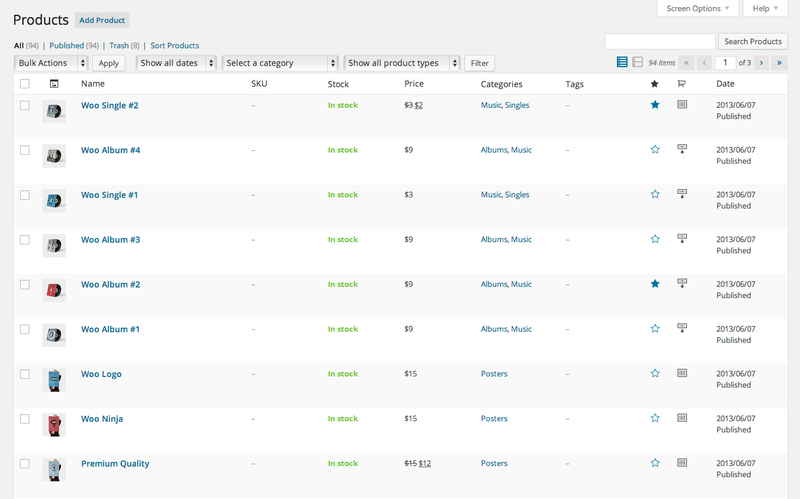 I am able to make webstore with easily product management features and I can make webstore with what client requested. and my clients are happy!! "Un gran complemento para WordPress para el comercio electrónico"
Se ve y funciona de maravilla, es fácil de configurar y cuentan con un excelente servicio de atención al cliente. Son compatibles con la mayoría de las principales pasarelas de pago y brindan alertas por correo electrónico cuando se realizan los pedidos. También me gustó que pudiéramos exportar pedidos. Un poco caro y es difícil saber qué complementos necesitas de inmediato. La mayoría de los complementos tienen un costo adicional, pero hay otros gratuitos. Hemos tenido algunos problemas con productos virtuales corruptos, como descargas de videos. WooCommerce tiene una gran cantidad de complementos, según sus necesidades. Recomiendo comprar una pasarela de pago si aún no la tiene. Si tiene uno, asegúrese de que sea compatible con WooCommerce. Hay muchos tutoriales y videos sobre cómo configurarlo. Comercio electrónico: venta de productos digitales y físicos en línea. "One of the best e-commerce platforms to use with Direct Bank transferences"
WooCommerce for WordPress is easy to use, have a enormous support and libraries/plugins, themes you could use. So for start you could begin with a very advanced developed e-commerce and you could just put the final touches. Obviously that depends of the requirements but you have a lot to work with. A lot of the most used functionalities are not free, so you have to buy a plugin or an extension, or developed from the start. You should probably want to use a theme, could be paid or free, to give the interface a heads up. Later if you want add Internationalization should use a Internationalization Plugin that have a great support, always depending on the theme and the plugins you have installed. We develop e-commerce websites so we use WooCommerce for WordPress to get a heads up on the e-commerce set up. That and because is greatly supported for themes and plugins, that makes really easy to work with it. "More than listing your products!" Woocommerce helps me to track my items and creates reports about the actions of the each item's past. Reporting is the best part that I like. Also, MailChimp integration really makes my job easier. I can directly make relation of the product IDs between MailChimp and Woocommerce. I can't say anything that I don't like actually. All the things with Woocommerce are helpful. When I need help, their support team immediately reply my requests. If you need to see detailed reports of your item sales you need to give Woocommerce a try. Also, there are lots of options like making discounts and applying the discount code to the products, integration of your local tax amount, shipping calculation etc. Automated emails, customization of the mail templates, tracking reports of the total sales or even a campaign. These were the needs that I wanted to get and Woocommerce helps me to obtain them. "a mega platform of virtual stores"
"The best e-commerce platform hands down"
The open source goodness. It is easily expandable and easily customized. Because the software is a plugin built on Wordpress, the infrastructure is very well thought out and allows easy expansion of various features. The REST API is also available and fairly easy to connect to, which makes it great for developers. Sometimes the openness of the software can be cumbersome. Turn off one switch, three switches turn on. Turn off one of those, two others turn on, etc. The open source-ness means that any time you install a plugin to add functionality, it can break the whole installation. This is true with WordPress but is something that developers deal with on a regular basis working with WooCommerce. This is the best free option for an e-commerce store. IT'S FREE. Why not get it? With Shopify, you pay monthly. With many others, they take a cut of your sales. WooCommerce allows a team to put together a very fully fledged e-commerce store that does everything one can imagine, FOR FREE. LIKE ZERO MONIES FREE. WHAT IS NOT TO HAVE. Built an e-commerce store and built-in SEO and mobile app rest API. "WooCommerce is the Best eCommerce Platform that you can OWN"
I like that I can set this up for my clients to own. They don't need to pay monthly for the eCommerce system and they can easily scale up when needed with WooCommerce's useful plugins. The constant updates can be cumbersome, but they are crucial in running the software within your own platform like Wordpress anyway. Wordpress is free but needs constant update for security purposes and so is WooCommerce and other related plugins. WooCommerce is simple to setup, but I would recommend for new users to hire a professional to set it up first on your Wordpress platform so you are not overwhelmed by it. Once all your systems and integrated and products are setup, request a tutorial or check out online WooCommerce videos on how to do it yourself when it comes to uploading/updating new products. WooCommerce provides the necessary ecommerce solution for my me and my clients. It allows us to customize the user's checkout experience, integrate with systems like Infusionsoft, Mailchimp, Convertkit etc. Being open-source, it's fully customizable & scalable to any type of business. "Flexable e-commerce platform for flexable website platform"
I love that WooCommerce is made to run on top of Wordpress. Wordpress is an amazing website platform that you can build anything on top of. I have used WooCommerce a few times to build an online store on top of Wordpress. It makes building a store into the same website that you have all your content on very easy. The number of add-on plugins for WooCommerce is limited, especially the number of free plugins. If you have a website that is built on Wordpress and you want to have an online store, WooCommerce is the way to go. If you don't but you want to have one website with content and a store than look into the Wordpress/WooCommerce combination. I wanted to have an online store on the same website that I host other content on. This has definitely been realized because it works on Wordpress that I have done so much other great stuff with. It is the better content control system, which can make a trade with content. I can easily edit any part of our site start from the homepage to the buy button. I also like to work on publish beautiful content and create a powerful brand. As for me I really struggle with the plugin. Will be much better and helpful if it's will be much easy and common for everyone. With the price I ok I don't think that it's expensive. With this software, you can make a store as unique. You can navigate your content and site. You will have the ability to create your online shop a reality. Your clients can buy your products from their comfort. It is great that we can help our clients find what they want by adding a label to characterize a product. Also nice step to show purchaser feedback straight on the product page. For me, it is important to view all my sales, refunds. "A year integrating with Woocommerce"
Woocommerce is popular and reliable e-commerce plugin that runs on the Wordpress content management system (CMS). It integrates nicely with Wordpress, using the underlying functions and data structures as much as possible. For example, a customer in Woocommerce is a user in Wordpress. It builds onto, rather than reinvents, the CMS. Out of the box Woocommerce adds considerable value before you even have to consider paying for premium features. The premium (paid features) of woocommerce that we've used have been a bit of a disappointment. While focused and targeted to a particular business problem, they tend to be less flexible, less comprehensive, than the woocommerce plugin itself. Woocommerce is easy to customize, not only through configuration menus, but also in the code. Documentation can be found on the Woocommerce website and many third party sites for code customization. Or you can spend money on premium Woocommerce and third party plugins to get features you need quickly. The disadvantage of some third party plugins, in particular, is that they don't always give you quite what you need or they integrate in a non-familiar way with Woocommerce. We are selling physical product directly to consumers, affiliates and retailers. Customizing the checkout process was reasonable. Tax is collected where appropriate. Shipping is calculated. Integration with Stripe and Paypal has been sufficient. Once everything is set up, it just works. That the basic platform is free. It was fairly easy to install especially since this is not my forte. They offer a free theme that you can marginally customize for your storefront. I am using the WC theme and products yet my website doesn't necessarily work correctly. I keep getting bounced back and forth between WooCommerce and GoDaddy and not really getting my problem solved. WooCommerce demands certain standards for their system status and GoDaddy says they aren't able to meet those standards. After spending several days being bounced back and forth with no real answers from either party, I simply gave up. 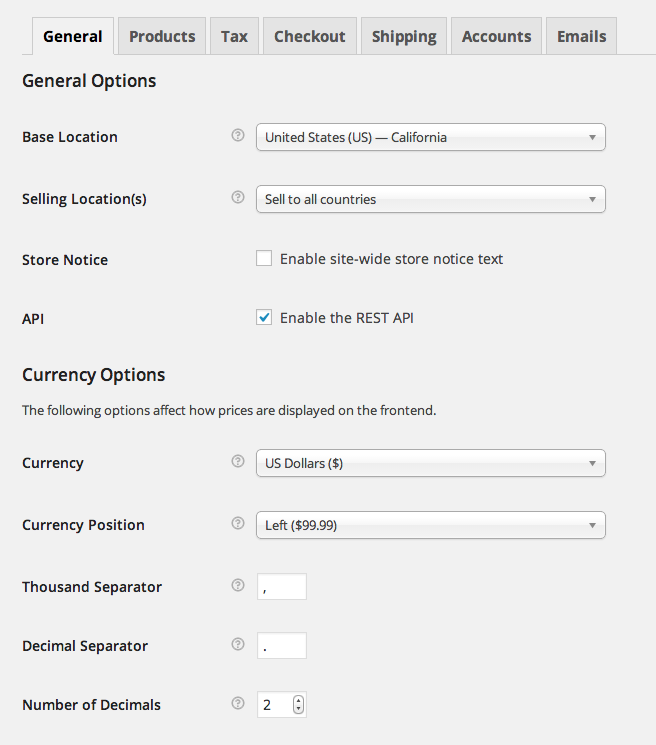 If I can't solve the settings issue on my own, I make look for another ecommerce provider. While this is basically free, you need to be aware that the WC Facebook plugin (from the WC site!) does not work. Also, the shipping plugins are expensive and only good for one year. Any savings you may realize by using WC plugins is automatically offset by the price of the plugin. Having an e-commerce site. I'm able to take credit cards and ship from my site without a huge expense. "A successful sale starts with WooCommerce." I can say that it is great opportunity to manage all task at work. I like the way of controlling all my clients. I have the ability to manage tax account. Also, I like to work on install and smooth way to change there everything that I need. As for me, I don't see any bad lines in this software. I guess will be better to make all process about working tools are more simple. Yes, this definitely will help a lot to understand a specific of work faster. Definitely, I recommend it to you this software. As I know that it is great opportunity to make your online business work much better. 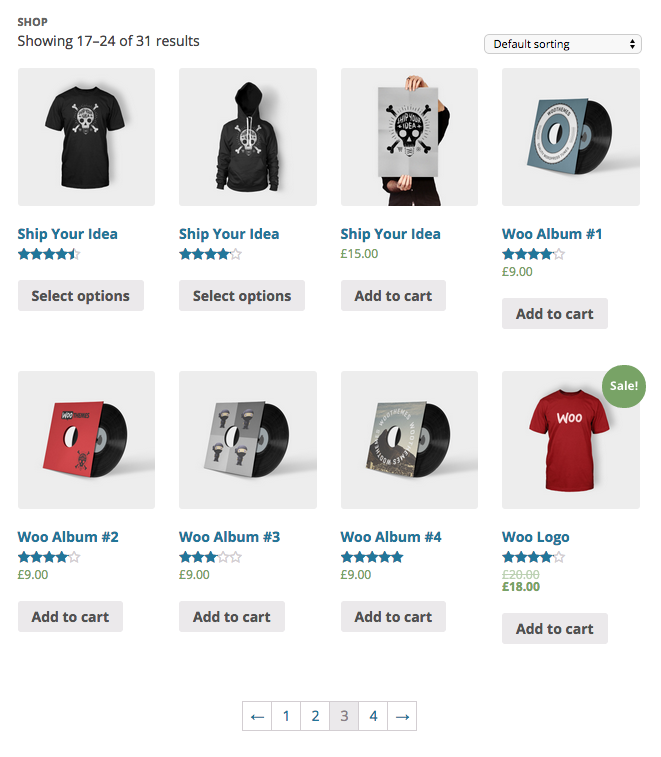 Also, you can do with WooCommerce a modify and customize anything that you will need. This product will make your sales much productive. We like that we have more big opportunity to create our online store. With this software, we are concentrating on our need more effective. We are like to use them as they change our job for the better. We are always working on top of the most famous content management system. "WooCommerce: The key plug-in for building a webshop with WordPress"
What I like the best, is that WooCommerce is trying to develop all the time. To begin with there were not so many options, when using WooCommerce, but today it is a whole different story. WooCommerce can be used to set up the webshop and charge payment through almost all kinds of options. It is easy to start charging payments through PayPal e.g. and then it is possible to add more options later on. I like that the customization options have been developed to a degree, where the options seems endless. I dislike the fact that if you add too many functions and extra plug-ins for WooCommerce then you will experience that your website will become slower. Furthermore it would be nicer to have major updates to WooCommerce instead of too many smaller ones, which I think have been the case. Sometimes we have updated WooCommerce and not experienced any difference at all. If you are running a on-of-a-kind huge webshop then there might be better options for you in the market. Options where you will be able to get a tailor-made solution. However, for all other kinds of webshops, I believe WooCommerce will fullfill the needs. We are able to setup products and charge payments for them in a very easy way. We are not wasting any ressources on high-tec payment solutions, because we have WooCommerce to set up a simple solution for us. It works very well for us and we have experienced that the scalability is great too. "Perfect for a small-medium sized business"
The best thing about Woocommerce is that if it doesn't do something you want it do, there's likely an inexpensive plugin that will allow you to do it. For example, ship products based on weight or quantity, or have customers customise their orders in almost infinite ways whether it be by size, colour or even (with plugins) allowing customers to essentially create their own variations of your product - one example would be a "design your own t-shirt" plugin in which a user can upload whatever they wish and it will be sent to you in a t-shirt printable form. The functionality with plugins is endless. The lack of initial features in the system can mean that you may end up purchasing several different plugins, which, while each relatively inexpensive (usually), the costs can add up - especially if some plugins require a subscription fee. While Woocommerce is free, consider exactly what you will need to sell online and see if Woocommerce has these features. If not, look on the like of Codecanyon for plugins and work out what the actual cost will be. Marketing with Woocommerce is great - there's a number of ways you can automatically email users who may have left their basket without paying, or other forms of automated marketing. It connects easily with email systems like mailchimp for sign ups and for automated marketing too so it segments my users and sends them relative emails based on past purchases or browsing history. Something that was either imposssible or not feasible beforehand.